The Tony Hawk series has been around for ages now, but it’s been over ten years since Tony Hawk’s Pro Skater 4. After years of spin-offs and 2012’s HD remake of the original series, it’s finally time for a sequel to the games that elevated the series to great popularity. 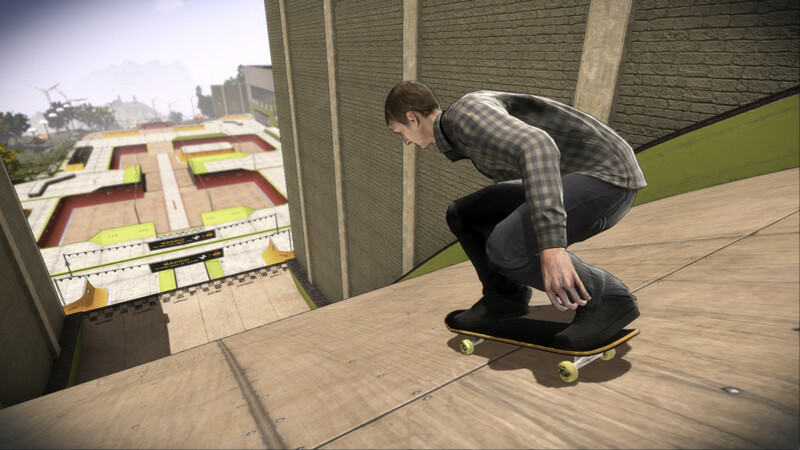 Developer Robomodo is on duty for the latest incarnation of Tony Hawk – and for better or worse, they already have a reputation when it comes to developing games within the franchise. They were responsible for the disappointing Tony Hawk: Ride (the one with the skateboard peripheral), but they also created the HD remake that at least showed some promise in terms of a return to the old gameplay style that fans had come to love. Unfortunately, it’s now three years later and that promise hasn’t been fulfilled. With the number 5 in the title, it’s impossible not to compare this entry to the first four games in the franchise – and despite a gap of 10 years things haven’t exactly improved. A lot of what made those games great was down to top notch level design, fluid gameplay and a great soundtrack. None of which are properly represented this time around, and part of that seems to be due to the fact that not enough budget was available for the game. The soundtrack for Pro Skater 4 was full of well-known bands, even for those not too familiar with punk, rock and hip hop – but the likes of AC/DC, De La Soul, Run DMC and The Offspring are nowhere to be found here. This wouldn’t be much of a problem if the gameplay felt familiar and polished, but it doesn’t. There are numerous bugs in place, quite a few of them having to do with a buggy collision detection system that stops you from stringing together a series of moves. Or doesn’t stop you when you think you’ll bump into (the side of) an obstacle, but instead just keep on skating. What all but one or two of the levels also miss is a sense of verticality – the ability to build up speed and make impossibly high jumps was always a welcome feature, but is a rarity this time around. Instead, most levels (and there are only 8 of them) feel fairly generic and uninspired. Objective-based gameplay is a major part of what’s on offer, and it usually boils down to you being sent on a short timed mission to grab a number of items, skate or jump through some checkpoints or score enough points. This could have been fun in a semi-open world setting where you select these missions as you’re exploring the levels, but the action stops every time you complete a mission. Instead of continuing on, you’re presented with a loading screen and the option to select something else to do. After a few times, you give up and just stick to playing the levels in sandbox mode – which only goes so far if the game itself isn’t as good as you would have hoped. What’s still fun to do is creating your own levels to skate through. The level editor is fairly easy to use and, to a degree, lets you create the parks you always dreamt of skating in. It doesn’t take away the gameplay bugs (that will hopefully be fixed in future patches), but it’s a nice reward to plummet down a self-made ramp and catch some major air after spending 30 to 60 minutes in the editor to craft a level of your own. Unfortunately, that’s not nearly enough to win over the hearts of Tony Hawk’s Pro Skater fans. Activision didn’t back the game with any kind of major campaign, and perhaps now we know why. Maybe they don’t, but we like to think that a good Tony Hawk game can still be made – OlliOlli2 already showed us that skateboarding games are still relevant, so let’s see another excellent Pro Skater title. Unfortunately, this isn’t it.